Adam Selzer is the host of the Mysterious Chicago blog, podcasts, and tours, and has spent many years researching the more gruesome side of Chicago historycriminals, ghost stories, gangsters, mysteries, and folklore. He regularly writes Chicago history stories for websites such as TimeOut.com and Atlas Obscura, and speaks about it on WGN radio. He lives in Chicago, Illinois. " “History is so often compromised by myth-making, exaggerations and half-truths, when the real facts reveal a much more compelling story. 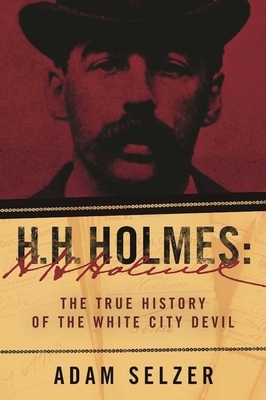 Adam Selzer has fleshed out a fascinating and eminently readable portrait of the real H. H. Holmes, the fiendish killer popularly known as the ‘Devil in the White City.’ Mr. Selzer had dug deep to strip away the fiction in order to give us the accurate and true facts of this shadowy figure’s life. The book is an important contribution to our understanding of American criminal history.” —Richard C. Lindberg, author of Heartland Serial Killers: Belle Gunness, Johann Hoch and Murder for Profit in Gaslight Era Chicago, and sixteen other books.